It’s an intimidating prospect, this whole idea of driving, or even flying, to a very cold place to take part in your first ski trip. You’ll pile on layers of clothing and sit on an automated moving bench suspended dozens of feet in the air, only to find yourself deposited at the top of a mountain with the cruel task of figuring out how the hell to get back down. Fortunately, many have made the journey before you, and a few have come up with solid ways to make the whole process a lot more enjoyable. 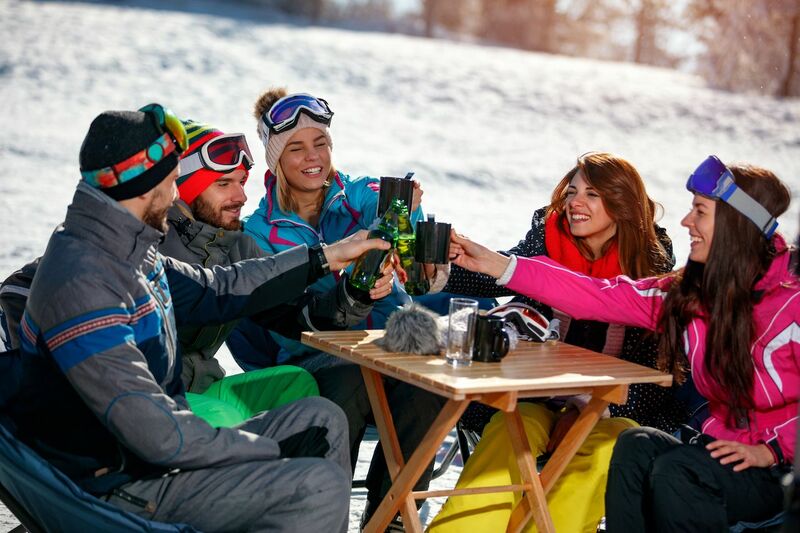 Follow these guidelines to avoid the common mistakes newbie skiers and boarders make on their first ski trip — and you may find that you actually have a great time. Mistake 1: Not taking a lesson. Let’s get straight to it: You need a lesson. For real. If there is one mistake to absolutely avoid, this is it. It’s been said that nothing ruins a relationship faster than jealousy — but whoever first said that never tried to teach their significant other how to ski. “But my boyfriend/sister/friend from Colorado is going to teach me,” you say. This plan is an embarrassing public spat and potentially even a breakup just waiting to happen. The first run, and probably the entire first day, is going to be frustratingly difficult. You’re going to fall, curse, and swear you’ll never do this again. The experience will be made even worse when your partner can’t properly explain how to make a pizza with your skis and, as a result, you tumble face first into the snow five times in a row. Worse yet is thinking you can go it alone just because you watched a few YouTube videos on the plane. 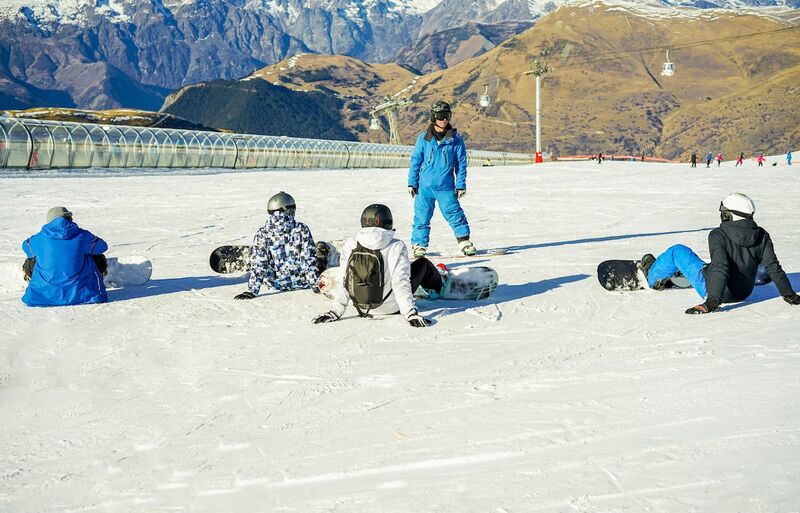 A lesson costs more than airplane WiFi, but if you want to actually enjoy skiing or snowboarding, leave it to the professionals to guide your skills in the right direction. Mistake 2: Not having the proper setup. Having fun on the hill is about comfort above all. If you’ve skied a few times and have a pair of skis and boots that you’re comfortable in, it’s typically worth the hassle to bring them along. If not, take the time to properly equip yourself through renting or buying decent gear before getting on the hill. You’ll thank yourself when you aren’t freezing and miserable after two runs. 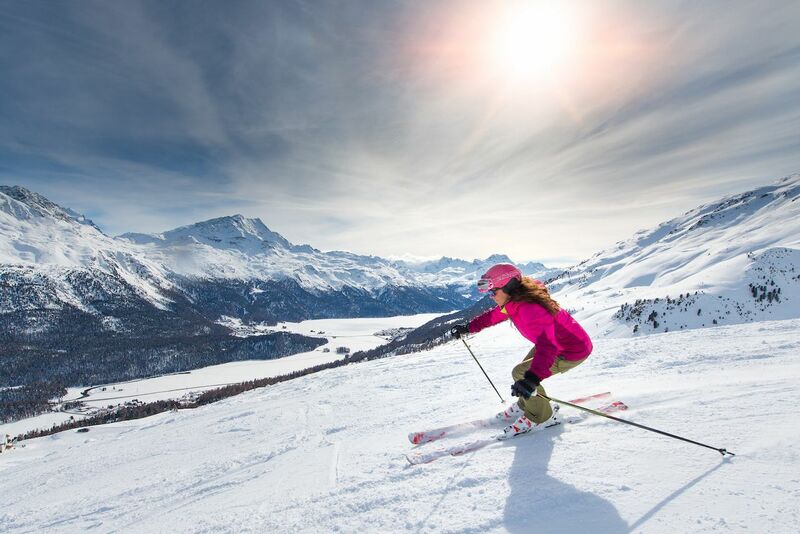 Whether pre- or post-arrival at your destination, follow three key factors when shopping for gear: It should be fitted to you, it should be comfortable, and it should be specifically designed for skiing or snowboarding. As warm as that Chicago Bears hoodie might be, it’s not going to keep you dry in a blizzard any more than that pair of sunglasses will keep the snow out of your eyes when you take a digger. When dressing, think layers. It’s much easier to shed an underlayer — say by tying it around your waist — than to go back to your hotel to grab one. 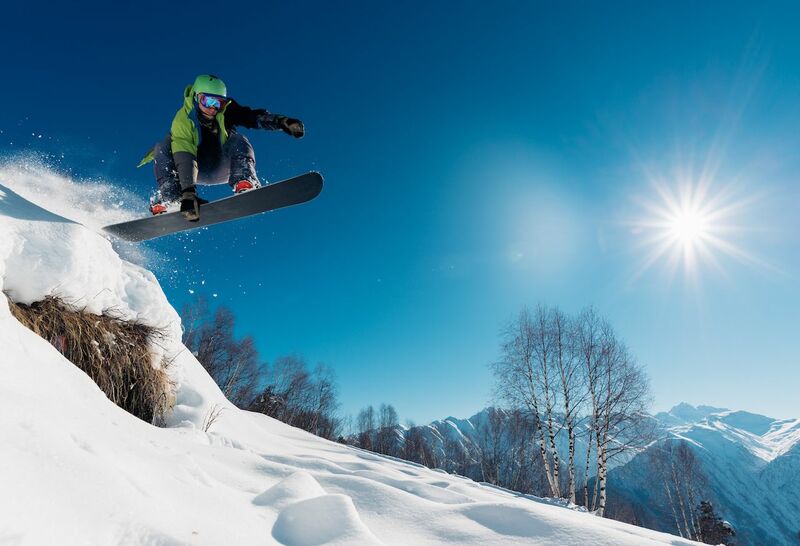 You need a parka or ski jacket, goggles, helmet or beanie, waterproof gloves that cover your wrists, and ski pants. Given the choice, choose a helmet over a wool cap. It’ll keep you drier and, obviously, safer. Either way, don’t be the gaper wearing blue jeans and a cowboy hat. Gloves: Wrist protection is key. Keeping your wrists warm and dry is a plus, but the main reason for a longer glove is to keep snow from getting inside the glove and freezing your fingers. Bindings: Equally important and worth asking about in the rental or buying process is bindings. Because bindings are the bridge between your boots and your skis or snowboard, they should be durable, flexible, and strap down nicely. Snowboard bindings should also hug your feet in a way that allows for optimal movement. Check out this breakdown of modern snowboarding bindings from NOW Snowboarding and this guide for ski bindings from REI. Mistake 3: Taking whatever rental gear is handed to you. Even if you have gear, traveling with it isn’t always possible. This means you’ll have to rent, but not all rental gear is created equal. Think stuff mass-produced for quick ski vacations vs. gear crafted for long-term use. It’s easy to show up at the hill, walk into the rental shop at the base village, and take whatever gear they assign to you. While this isn’t necessarily a bad thing to do, there’s a lesser-known secret to renting gear that can ensure a more enjoyable, high-performance day on the hill: demoing. 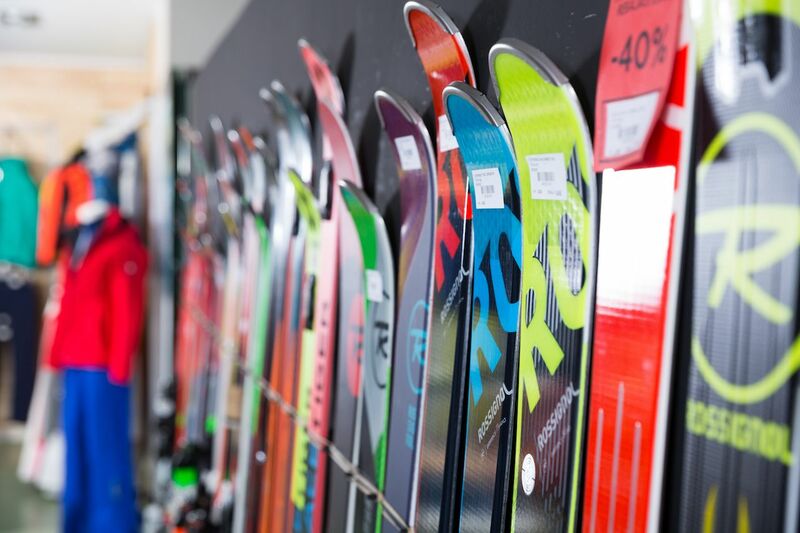 Demo gear is essentially a rental version of a particular brand’s mainline gear, meaning it’s higher quality than mass-produced rental skis and boots. Because demoing is intended to get the word out on a product, it doesn’t cost too much more than general rentals. Some shops keep demo gear in stock throughout the season while others do it less frequently, and some don’t have it at all. Some demo skis but not boots. Thing is, you generally have to know to ask for it. Mistake 4: Buying single-day lift tickets at the resort ticket window. Skiing is expensive. Aside from getting into the backcountry or going pro, throwing down on lift tickets is an unavoidable expense if you want to hit the slopes. That said, a few steps can save you some serious dough. First, head over to Liftopia, whose sole point of existence is to peddle discounted lift tickets. If you won’t be skiing enough to justify a season pass, many resorts offer what is known as a four-pack — a pass valid for four days throughout the season at a steep discount from window rates. Other common places to find discounted lift tickets include ski shops, gas stations, and grocery stores in mountain towns. If you do find yourself at a ticket window, ask about special deals. 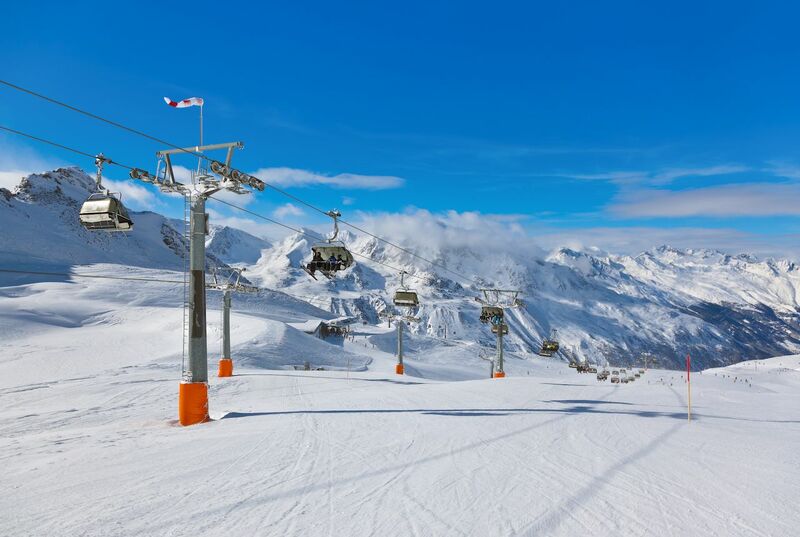 If you’re skiing for more than one day, for example, many resorts offer tickets valid from two to seven days in a set time period that are cheaper than buying a new pass each day. Buying lodging through the resort’s web page often lands you a day or two of cheap skiing as well. While the ticket window might display a $150 price tag, the bottom line is that ski areas want you on the mountain, and their marketing teams are hard at work finding new ways lure you in. A few minutes of web research can save you big bucks. Mistake 5: Taking it too seriously. No matter your experience level, humility is key on the ski slopes. You’re going to look a lot more like Jennnifer Lawrence at the Oscars than Lindsey Vonn or Shaun White, so there’s no sense in being hard on yourself. The whole idea of organizing a ski trip was to get away from the grind for a few days. The bar at the base opens early for a reason, and ski town nightlife has its own term — après ski — and typically kicks off no later than 2:00 PM. Shed a layer and have a beer on the patio while laughing at the photos of you and your friends awkwardly stumbling down the mountain. Once you learn to laugh instead of swearing, your experience will be infinitely more positive. On your first ski trip, after all the falling, soreness, and second-guessing of your vacation plans, you’ll realize you are actually having fun. The post 5 mistakes everyone makes on their first ski trip appeared first on Matador Network.